Itinerary of Gasherbrum-1 or Gasherbrum-2 climb. Day 1. Arrival at Islamabad and transfer and accomodation in hotel. In the afternoon, city tour of Rawalpindi and Islamabad Rawalpindi – dynamic, animated city with vibrant bazaars and swarming streets, which somewhat compensates for the lack of noteworthy monuments. However, the bazaar gives vivid impressions of the real Pakistan. Day 2. 12–13 hours ride from Islamabad to Chilas by Karakorum highway, one of the world’s wonders, which links Pakistan and China. Overnight stay and meals at hotel. Day 3. 8–9 hours ride by Karakorum highway from Chilas to the town on Skardu along the Indus River. Overnight stay and meals at hotel. Day 4. Rest and final preparations, and will be spent in Skardu. Day 5. 6–7 hours ride across Shigar Valley from Skardu to Askoli village (at 3,000 m), with the trail crossing Braldu River for three times and passing by the villages of Dassu, Apligon, Pakora, Hoto, Chongo and Thongal. At a 20 minutes ride from Thongal, there are hot Sulphur springs, surrounded by copper colored stones known as Limpi Kiser (Kiser Fort). Overnight stay and meals in camp. Day 6. 5–6 hours trek from Askoli to Johla at 3,200 m, from where we can admire panoramic views of Bakhor Das peak (5,809 m high) and also of the impressive Biafo Glacier. Following the riverside trail to the confluence of rivers Biafo and Dumordo, we will take a cable to cross the Domordo River to camp at Johla (at 3,300 m). Day 7. 6–7 hours trek to Paiyu (at 3,600 m). Trek to Paiyu (6-7 hrs) (3650Mrs) Meals & O/n in camp. This is an undulating walk, difficult at times, with the first views of dramatic mountains ahead. There is a rest stop by some tamarisk trees beside the stream flowing down from Paiyu Peak, where we saw ibex tracks and fox spore. The trail climbs to a vantage point from which you see the snout of Baltoro Glacier and, in the far distance, a magnificent panorama of the Cathedral Towers and, left of them, the unmistakable triangle of K2. Day 8. This day of the expedition to climb Gasherbrum is a rest day at Paiyu. Free day for local exploration and Porter will prepare their food for further trek also kill the goat. Overnight stay and meals in camp. Day 9: Paiyu-Urdukas. Trek to Urdukas (6-7-hrs) 4210 Mt. Beautiful views of Great Trango & Uli Biaho Towers. The tail traverses the glacier angling gently towards its southeast margin. Exit the glacier in to the ablation valley at Liligo. The route alternates between the lateral moraine and the glacier, heading out on the glacier to avoid the outflow from the advancing Liligo glacier. Continue trek to Urdukas, named for the obvious split boulder. 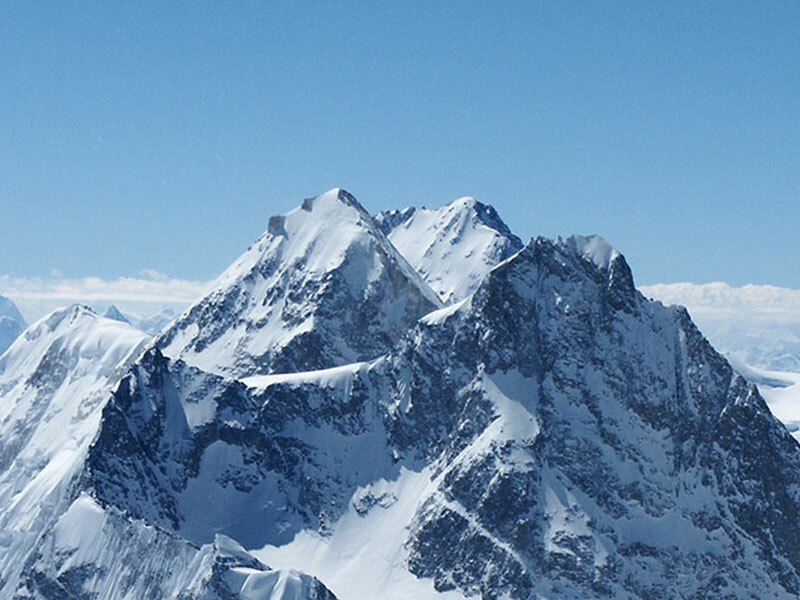 Camp with its extraordinary views of Paiyu Peak (6610-m, Uli Biaho (6417-m) Great Trango Tower (6286-m), Lobsang Spire (5707-m) and the Cathedral Towers. Overnight stay and meals in camp. Day 10. Urdukas-Goro-II. Trek to Goro-II (5-6 hrs) 4525 Mts, a spectacular view of Masherbrum (7821m). 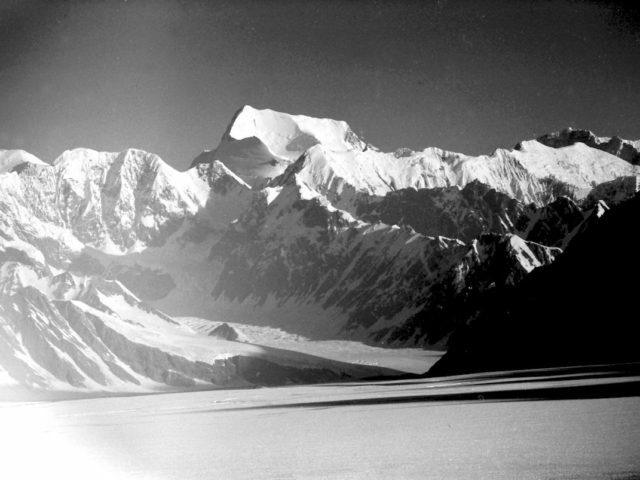 & Muztagh Tower (7284m). Overnight stay and meals in camp. Day 11. Goro-II-Saqring. Trek to Saqring (7-8-hrs). Today it is golden opportunity to see 7000mt to above 8000mt peaks including mighty K-2 (8611m) Broad Peak 8047mt G-I 8068mt. G-II 8035mt Sia Kangri 7422m Muztagh Tower 7284mt G-IV 7925m Miter Peak 6025m Golden Throne (7240m). Day 12. Saqring to Base Camp Trek to base camp Gasherbrum II. Day 53. Full day trek from Gasherbrum II to Ali Camp at 4,800 m, a combination of small rocky platforms. The trail requires fairly easy and gradual walk over ice and snow, with Mighty Chogolisa towering in the south. We turn in early for overnight in camp, as at about 1 AM we will have to set out for Gondogoro La. Day 54. Trekking from Ali Camp to Hispung, which includes crossing the Gondogoro La Pass (at 5,680 m). 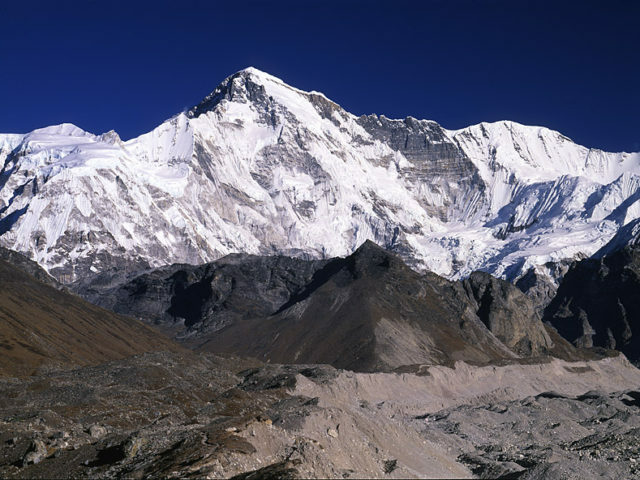 After leaving the camp at about 1 AM we will climb the Gondogoro La – on the lateral moraine for the first two hours, in order to avoid crevasses. Getting closer to the Pass, we will step on the snowy trail and keep to it until we reach the base of the Pass. The final part of the trail requires a steep walk on the snow and most likely, use of fixed ropes, crampons and ice axes. Descent on the steeper Hushe requires god balance on the rocks. Overnight and meals in camp. Day 55. 5–6 hours trek to Shaitcho via wild roses, 3600M, Cedar and Tamarish Bushes to Shaitcho. Meals and overnight stay in camp. We gradually leave the icy landscapes and descend to the meadow and pastureland at Shaitcho. Day 56. trek from Shaitcho to Hushe along the east bank of river, followed by a jeep ride to Skardu. Hotel meals and overnight stay. Day 57. 8–9 hours ride from Skardu to Chilas by Karakorum highway. Meals and overnight at hotel. Day 58. 11–12 hours ride from Chilas to Islamabad. Overnight stay at hotel. Day 59. 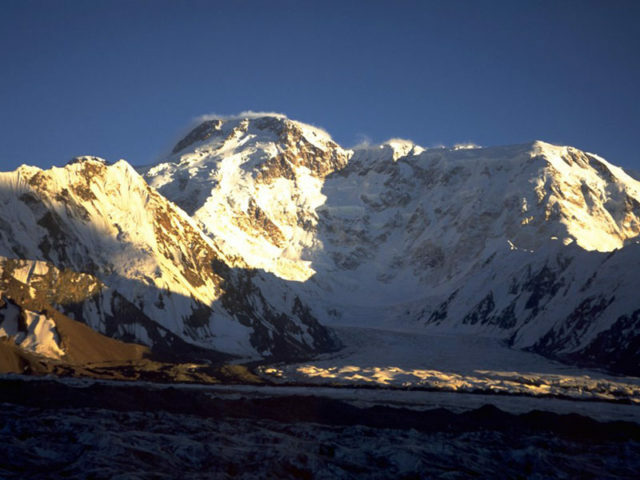 Of the expedition to climb Gasherbrum will be spent in Islamabad. Morning welfare meeting with Alpine Club and an afternoon free for shopping. Overnight stay and meals at hotel. Day 60. Another rest day in Islamabad. Day 61. Flight back home. Transfers: airport to hotel on arrival, and hotel to airport on departure. Islamabad- Skardu-Islamabad transportation with expedition luggage. L.O equipment and TA DA.